Catholic News World : #BreakingNews 800,000 at #MarchforLife in Peru - #ProLife March sponsored by Church "United for Life"
#BreakingNews 800,000 at #MarchforLife in Peru - #ProLife March sponsored by Church "United for Life"
Lima (kath.net/Agenzia Fides) - "Pope Francis knows the march very well for life, twice he personally wrote, encouraged and even advised me on how to best organize the event The Church writes a poor priest in South America, this gives me great serenity and peace, "said Rev. Luis Gaspar, organizer of the" march for life "in Peru. 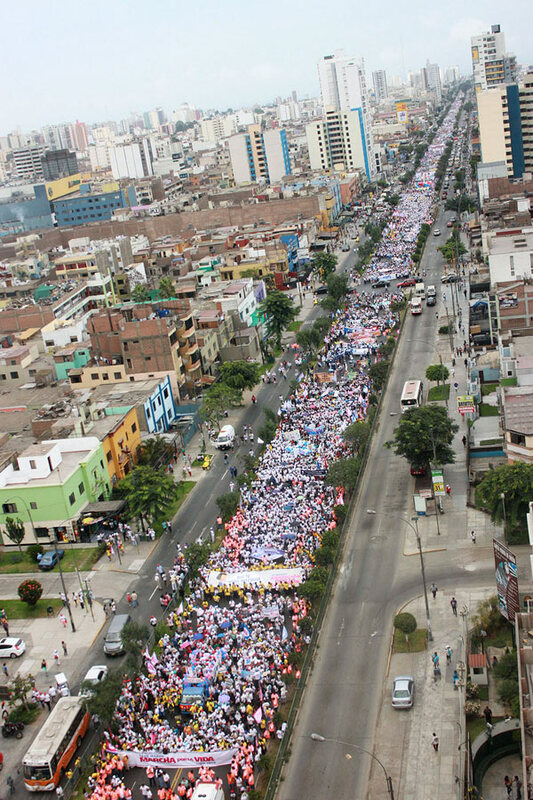 Since 2013, the first march for life in the country took place, the Archdiocese of Lima Pastor Gaspar has entrusted the organization of the event, which has become a major church event and the more and more people join from year to year. Last year, the Archbishop of Lima, Cardinal Juan Luis Cipriani, had to suspend the march due to the natural disasters caused by the El Niño phenomenon in the north of the Peruvian coast. He called on the usual participants to volunteer in the affected areas. 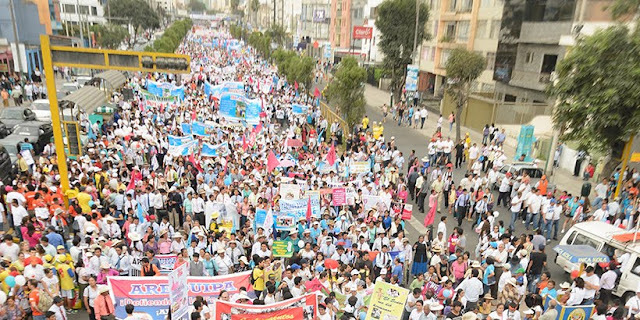 This year, the march took place yesterday, May 5, under the motto "United for Life". More than 800,000 people participated. During the opening ceremony, Pastor Gaspar read out the message of greeting from Pope Francis, who encouraged organizers and participants. At the end of the march, Cardinal Cipriani warned thousands of Peruvians who had gathered on the esplanade of the Costa Verde: "Do not let this wonderful people lose faith." The Pope said to us, "I see and feel the faith and I can feel the yes to life ". At the event it was announced that a letter of recommendation with ten proposals to strengthen the family should be handed over to the state authorities.